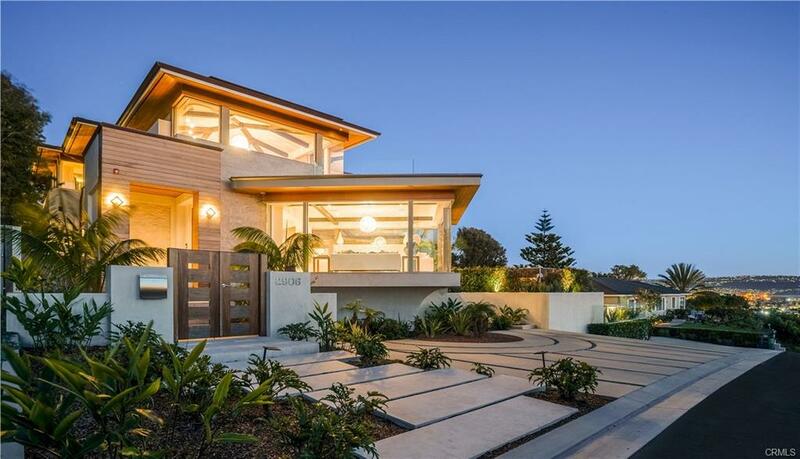 This sleek, stylish contemporary remodel of a Mediterranean classic offers breathtaking panoramic ocean, sand and whitewater views. With a perfect North Hermosa Beach location, this five bedroom, 4 bathroom home has 3,770 sq ft of living space on a large gated 4,151 sq ft street-to-street lot. The entrance is dramatically emphasized with an elegant warm Walnut staircase contrasted by chic Anzer white tile. The kitchen, entertaining and family areas are upstairs, capitalizing on the fabulous views with lots of windows and spacious open concept living. The kitchen is adorned with Italian Dada lacquer-finish cabinetry, Miele appliances, massive center island with bar seating, and dining area with 180 degree views. The butler’s pantry has a full-sized secondary fridge and dumbwaiter, and there's a formal dining room, den and powder room. The family room is highlighted by a fireplace and folding glass panel wall, opening to a deck and the beach beyond. Ascend a handful of steps to find yourself on a roof-deck that motivates you to pause, and take in the awe-inspiring panoramic views of the ocean and beach below. The master suite is a sanctuary adorned with walnut floors, fireplace, sitting area and his-and-hers walk-in closets. The spa-like master bathroom is enhanced by an over-sized soaking tub, mosaic tiled shower and sauna. The 3-car garage has epoxy-coated floors, and there's an additional guest parking spot with automated gate & outdoor shower. Welcome to the beach's best! I was searching for a Property and found this listing (MLS® #SB18096858). Please send me more information regarding 2524 Manhattan Avenue, Hermosa Beach, CA, 90254. Thank you! 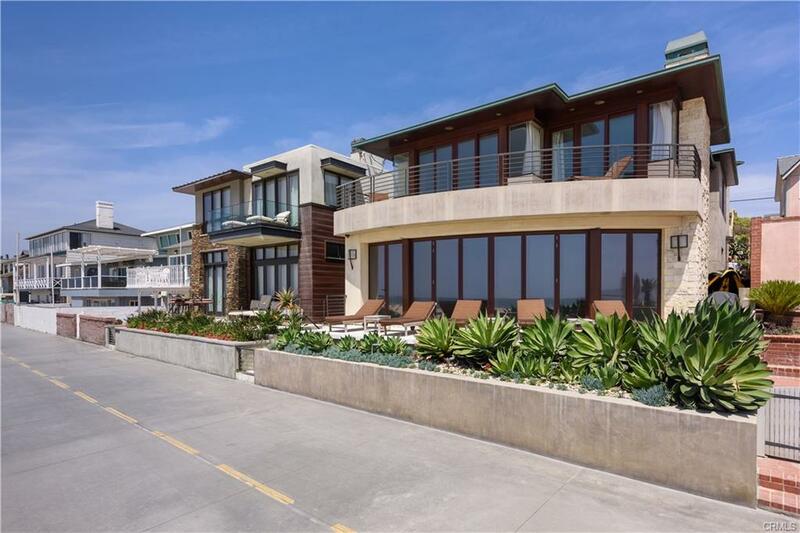 I'd like to request a showing of 2524 Manhattan Avenue, Hermosa Beach, CA, 90254 (MLS® #SB18096858). Thank you!